I’ve got a lot of thyme on my hands these days. Thanks to my Hometown Seeds and ample garden space I now have an herb garden providing a plethora of scents and flavors. The thyme and sage have done particularly well. Problem is, I’m not very familiar with either of these herbs, usually opting instead for the always-amazing rosemary or basil. What to do with all this thyme?! Seeing as how it was nearly the weekend (a respectable Thursday night) booze came to mind. 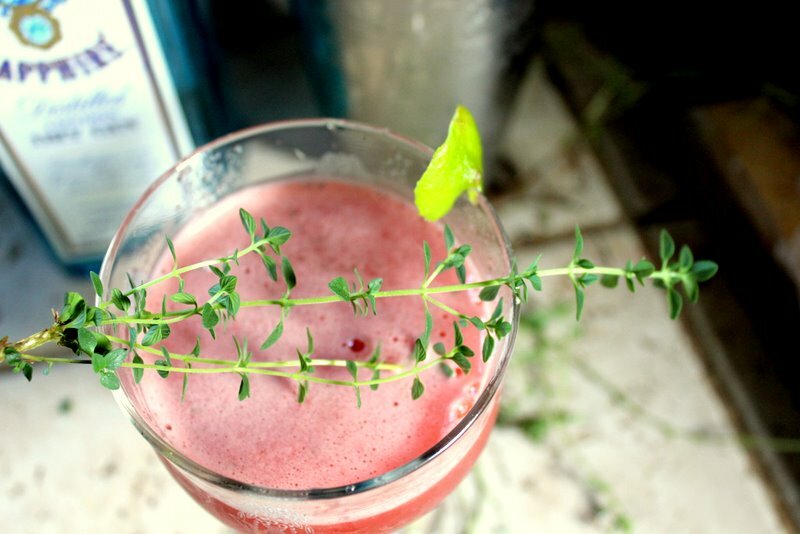 And lime because it’s delicious, refreshing, and rhymes with thyme. note: the lime rind adds a lovely little bitterness that compliments the gin nicely. you may want to start with one little chunk and adjust to taste. Fill a cocktail shaker with ice, add contents of blender, shake vigorously for 10 seconds, pour into glasses. The shaker will strain out most of the little bits of lime zest and pulp but you may end up with a some in the bottom of your glass. 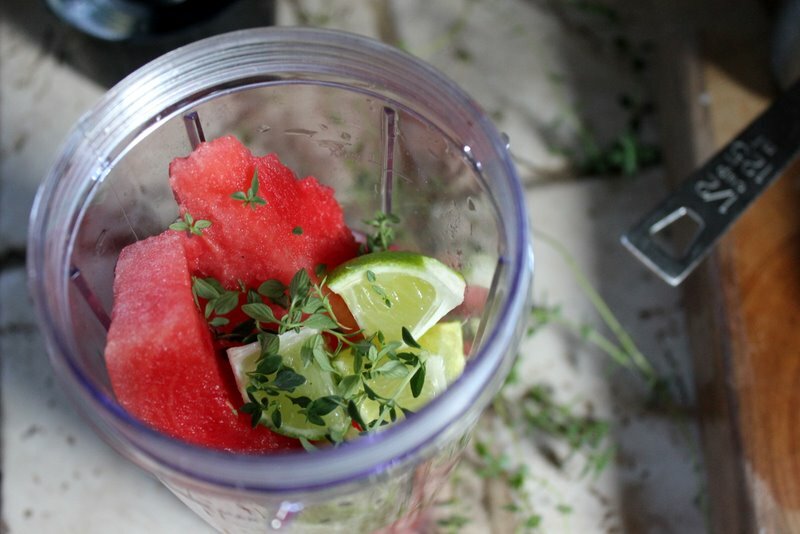 If you don’t have a shaker you could always add a cube of ice to the blender. I wouldn’t add more than a cube or two though because it will dilute the drink too much. 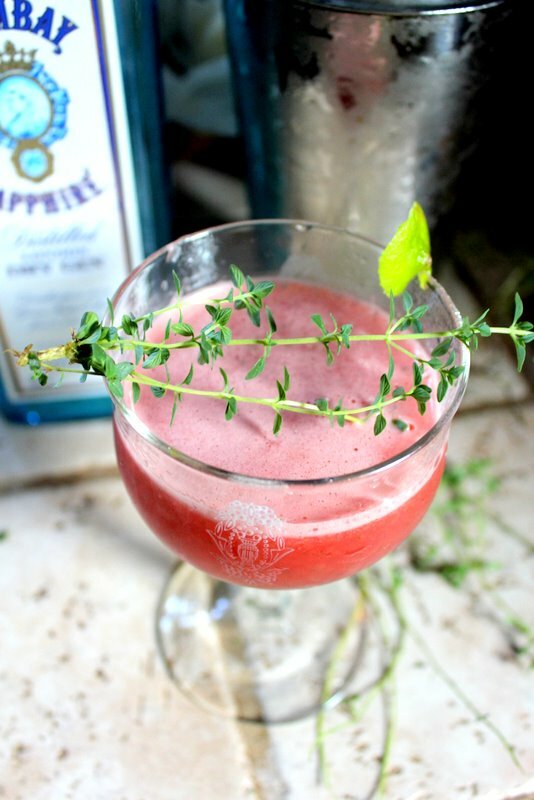 What’s your favorite way to use thyme? Or time?! As far as time, spending it outdoors is always good in my book! Tate and I just decided on a whim to head to WV after work and join my family on a lakeside camping trip. Love the pun 🙂 Hope to see you downtown tonight! Tell Tate we might have Christian’s pizza! We are hitting the road for the hills and the lake! Be back Sunday! I really like thyme with caramelized onion & lentils. I’ve never thought to put it with melon though — good call! yum! I need to expand my herb garden; currently just have basil and cilantro. Love having fresh herbs to experiment with. And I agree with your sentiment about spending time outdoors. I will be driving through WV this evening on my way to PA for a family reunion this weekend! such a nice hot day for a drive 🙂 stay cool! Your drink looks fabulous. I grew lemon thyme this year and it’s really flourishing. I’ve been using the little branches I snip off with baked fish and chicken. It’s a mild but nice flavor. I’m going to try it with broiled tomatoes next. 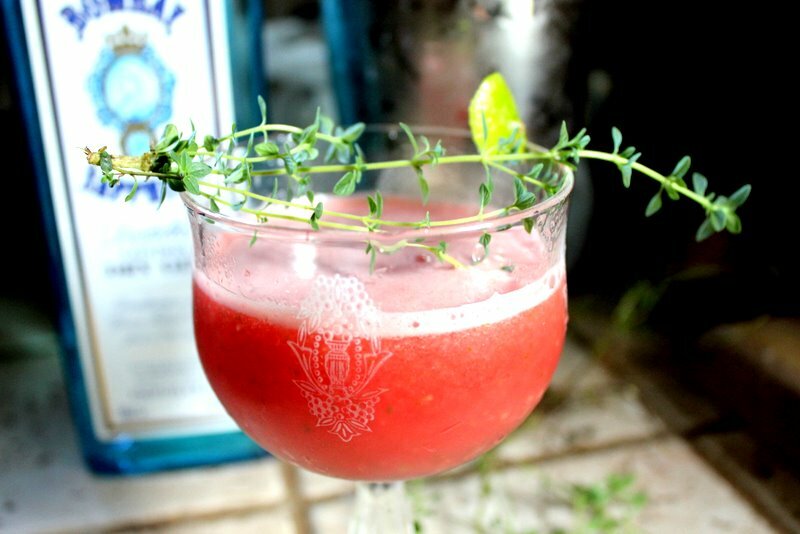 I grow Lemon Thyme, which I bet would be lovely with this, as well. Yum! I love using it with anything that has tomatoes, potatoes or even pasta. Also I’ll find ways to include it in roasted carrots and salad dressings. Thanks for the tips and how appropriate about the tomatoes since my garden is a ‘mater-making machine right now!